The AR-15 Bore Guide is precision CNC machined aluminum with a durable anodized finish. It fits securely in any AR-15 upper and can be retained in place by closing the dust cover on the upper which engages a groove in the guide. The bore guide also has chemical resistant O-rings for retention in uppers without dust covers. It works well with .223 and .204, extending inside the chamber to prevent solvent from leaking into the action. A solvent port is conveniently located to the rear of the guide which extends out of the upper making it easily accessible during cleaning. Inner tube diameter .250″ (not intended for 6.8mm jag). The Delta Series AR-15 Bore Guide will help protect the bore and action of your rifle by properly aligning the cleaning rod and reducing solvent overflow. 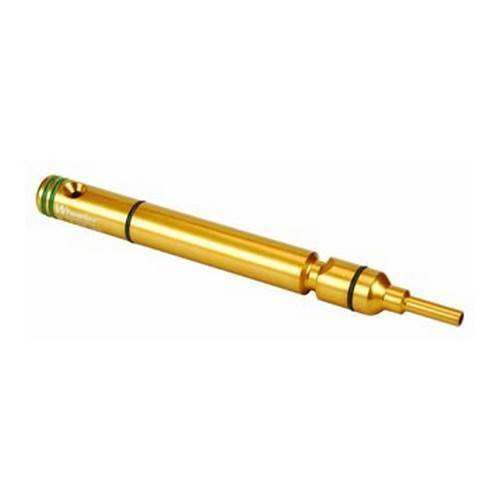 Cleaning without a bore guide can allow the rod to “bow” and rub or gouge chamber and throat of the bore causing real damage and loss of accuracy. Keeping the rod properly aligned not only protects your barrel, it directs the force exerted on the cleaning rod handle allowing tight patches to be pushed more easily.